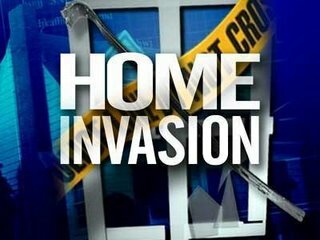 Stockton, Calif. - A group of unknown suspects staged a home invasion robbery early this morning in Stockton's Bear Creek District. At about 1 a.m. four unknown suspects, all armed with guns, pushed their way through the front door of a residence on the 8000 block of Mariners Drive. The suspects held the victims at gunpoint and ransacked the house taking cash and personal property. All four suspects fled on foot, and responding officers were unable to locate them. The four suspects were described as black males all black clothing, ski masks, and gloves. One of the suspects had long black dreadlocks. One was armed with a black revolver, one with a black semi-auto handgun, and another with a sawed off shotgun. They were all approximately 5’9” tall. No Comment to " Four Suspects Wanted For Stockton Home Invasion Robbery "